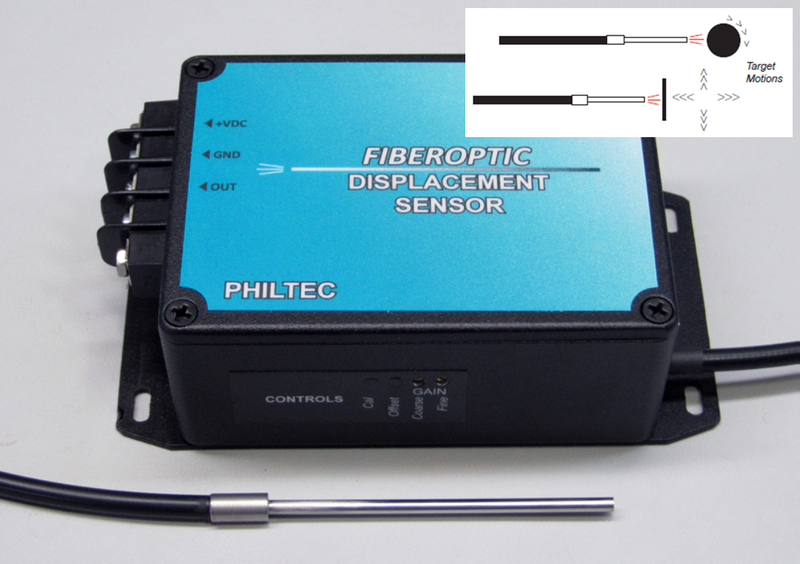 The Philtec fiber optics displacement sensors allow non contact measurements of distance, displacement and vibrations of a target. The RC type sensors are designed for rotating and translating targets. They are independent of the target reflectivity. The analog sensors offer 0-5 volts analog output. 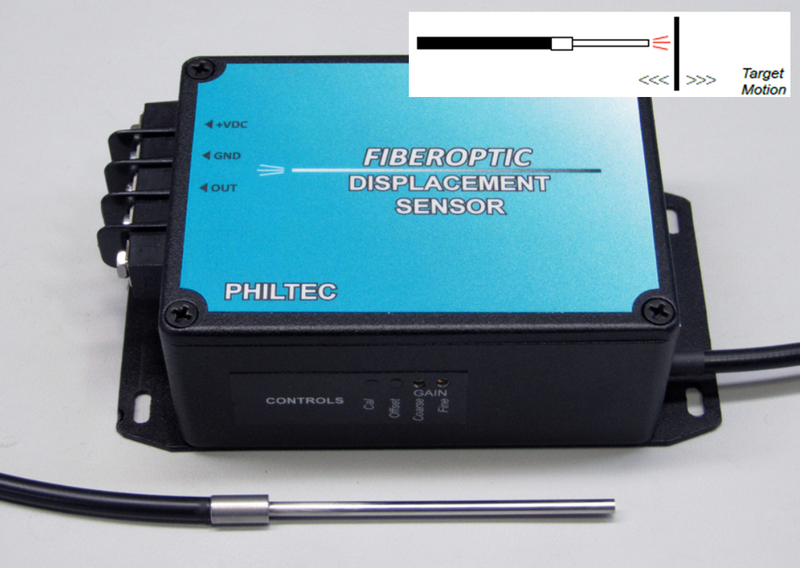 The D type fiber optics displacement sensors are designed for single axis moving targets. They offer two measuring ranges.